I’m one of those knitters who always wants to crochet… but I get distracted by knitting projects! That doesn’t stop me from falling in love with many crochet patterns, though. Some day I will make them! Recently, many of the projects in Beth Nielsen’s Modern Bohemian Crochet (Interweave/F+W Media 2017) have caught my eye. The term “bohemian” gets thrown around a lot these days, and it means different things to different people. To me, “bohemian” crafting projects means wearable pieces that have a care-free spirit—maybe not always projects I would wear to work (though that obviously depends on your workplace’s sense of style), but pieces that I would wear in my down time, visiting with friends or going to a restaurant. Beth’s designs most definitely fit that style idea; and don’t worry, there are some pieces that could be worn at work. That versatility is incredibly crucial when you’re going to spend the time, energy, and money making projects. The Taylor Cable Cocoon is one of those incredibly versatile pieces, and would work up quickly in an aran-weight yarn. I’m also enamored with the Laflin Tank, as well as the Geneva Cardigan—maybe this project will get me to tackle hairpin lace crochet! There are some great accessories as well, and I especially love the use of colors in the Flora Belt and the Spike Tote Bag. Beth used Berroco yarns for two projects in this book, and I want to make both of them (in all of my free time). The Eastlake Sweater, crocheted with Berroco Vintage, features asymmetrical hems and a simple chevron stitch pattern. I suspect the hardest part will be choosing a color, since there are 93 shades of Vintage. And then there’s the Lotus Cap Sleeve Kimono, which perfectly straddles the line between vintage and contemporary style in three shades of Berroco Modern Cotton. Styled here with a wide-legged jumpsuit, I would probably wear this open-front cardi with my wide-legged linen pants and a close-fitting top—a perfect outfit for work or play! As our gift to you, Berroco Blog readers, we’re offering a giveaway prize—one lucky winner will receive a print copy of Modern Bohemian Crochet along with the yarn to crochet either the Eastlake Sweater or the Lotus Cap Sleeve Kimono, in your choice of colors. All you have to do to enter is leave a comment telling us what you like to crochet (or what you’d like to crochet if things like work or clean our houses or being a responsible adult-type person wasn’t an issue). All comments must be posted by 11:59 pm EST on Sunday, August 6, 2017, and the giveaway is open to anyone in the world, ages 18 and older. Winner will be contacted via email and announced on the blog Monday, August 7. Don’t want to wait? You can purchase Modern Bohemian Crochet from the Interweave store (print book | ebook), Amazon (print book | Kindle ebook), or ask your local yarn store if they have it in stock! Wow, love the look of the Geneva cardigan and the Eastlake sweater! Would be very hard to choose! BTW, thank you for brightening our Monday mornings with these great blogs! I would love to crochet more clothing for myself. I’m in love with the tank on the cover as well as the Eastlake Sweater. I’d love to crochet it in Taupe Berroco Vintage. It would be delightful. Wow. That book is so NOT what I thought it would be…it is SO much better! I don’t usually go for “bohemian” style clothes, but these are really eye-catching! I love to crochet just about anything, from toys to sweaters for my children to a doily I am currently trying to finish. This book is amazing and is now going on my wish list. I love the Eastlake sweater. I crochet every day on my temperature afghan and I have been doing so since the beginning of 2016. I like to crochet interesting stitches and wonderful colors and I do love playing with yarn. Thank you for your lovely yarns and great customer service. The lotus cap sleeve kimono would be my choice. I learned to crochet when I was about 8 years old. I taught myself how to knit a few years ago. I would drop my knitting needles and dust off my crochet hooks for this project! I would MAKE time to crochet the Eastlake sweater in Grapefruit. Delicious color and adorable sweater pattern! I love to crochet as well as knit – I’ve crocheted shawls, blankets, totes and even a backpack for my granddaughter! It’s fun to be able to create with fiber in different methods! The Eastlake sweater would look awesome in Berroco Vintage Dungaree!! I like to crochet just about anything, but yeah… responsibilities and adulting are always getting in the way. 🙂 Probably half of what I crochet are gifts for family members, and the other half are things I just make for the fun of it. I’m always looking for pretty patterns and pretty yarns to turn into pretty things. ❤ Thanks for the opportunity to win! My favorite clothing to crochet is shawls and I have three different ones going right now. I love to crochet all kinds of things. I even crocheted my wedding dress (decades ago when I was young and foolish). I like the look of the projects in this book – time to start crocheting again. I would make the Eastlake sweater first because I love the yarn used. Then I would try most of the others as I like them all! Thanks. Hi Shirley! You’re our lucky winner—I’ll be emailing you so I can send out your prize. Thanks for commenting! I love to crochet – have an afghan and a shawl on the go. I love to crochet borders on my knitted socks and sweaters. I would like to crochet more full clothing items like dresses and tops. But I usually crochet scarfs and small items since I never have enough yarn to finish larger projects. I would love to win the yarn and the book so I might finally make something bigger. I like to crochet bags and edgings on knitted baby blankets. If I had more time, I’d love to crochet more sweaters for myself. I love thick,cozy sweaters! I love the Lotus Cap Sleeve Kimono too though – it would be perfect for the spring or late summer! I’ve just recently decided to try crocheting a cardigan. I also have a couple of tank tops in line waiting for me to tackle. And I just LOVE to work with finer yarns! I have a lacy bolero on my hooks at the moment…and have to make some beanies. A friend is making beanies for a children’s cancer hospital – and I offered to make a few beanies to help her meet her goal of over 100 by Christmas! I love the lacy cardigan shown in this book…and would SO love to win it. Hairpin lace is on my “bucket list” of techniques to learn this year…and what a gorgeous project that is! With three daughters, I need to make more items…and without the housework, shopping, etc. oh my! what I might accomplish. I love seeing items such as shown here in this book…such inspiration makes me want to keep those hooks flying. I like to crochet hats. What better way to expand my crochet itinerary with one of these marvelous pieces! The Eastlake top, the Geneva cardigan or the Lotus sleeve cap Kimono cardigan!! too hard to choose! I love the Eastlake Sweater! My dream projects would be to be able to crochet all of the beautiful designs by Hooked on Sunshine by ordering the yarn packages they are designed in. I have only crocheted toys at this point. I would love to start making some tops. That kimono calls to me. My sister and I have both been wanting to learn how to crochet for a while… I just need to fit it in with all my knitting! All of the designs in this book are gorgeous, especially the kimono!! I would crochet the skirt and wear it it on soft summer nights here in Ontario. Would love a copy of this crochet book, some nice new ideas. I like to crochet blankets and kitchen/bath items. I would love to make more clothing for myself. Thanks for sharing the wonderful projects in this book! Love the Eastlake Sweater! Life it’s to short to spend it doing adult-type things, I love crochet crazy toys and accessories! Lately I’ve been crocheting amigurumi animals to decorate my desk at work, but I dream of making broomstick lace tops to wear over camisoles at the office in the summer. I just haven’t found the time yet. Little animals are quicker than lacy tops. I love to crochet many things – my new fave is Tunisian crochet. But I’m game for anything with an interesting pattern. I love crocheting baby blankets and washcloths. I’m still learning. Oh my goodness! I really enjoy all of these! I’m normally a knitter but I’ve been feeling the crochet bug lately- I’ve made a few scarves, an afghan and a shawl since the beginning of the year. I’d really like to try my hand at more crocheted garments, especially something like those hairpin lace and cable cocoon cardigans! My birthday is in about a month and I’ll be putting this book on my wish list. I keep wanting to crochet bags — whenever an adorable bag catches my eye, it’s usually crocheted. So definitely bags. And afghans. I love granny square afghans, done in modern colors choices. Tackling a sweater would definitely be an adventure, though — a fun one, I’m sure! Right now I love to crochet tops for myself, so the Eastlake Sweater would be wonderful! I love granny squares and crocheted doll clothes. . .some of these patterns would be fun to try!!! I love to crochet just about anything and I have, from clothes for all ages to dishclothes, pillows, plant hangers, pet items, you name it! I used to crochet hobo handbags with my own patterns. So easy to do with crochet. But, I have since been mostly knitting. I love the look of the Eastlake sweater and would make it in Forest Floor. Spent the last few years doing a lot of shawls and vests. Beautiful patterns. I would love to make several of them starting with the Geneva cardigan and Spike tote bag. I’d like to crochet the Taylor Cable Cocoon and a coziefor my favorite recliner. I love to crochet amigurumi’s and afghans. I also love to knit. I like to crochet shawls and afghans. I enjoy crocheting lots of things, but mostly gifts for others. Thank you for the opportunity to with this book, it looks terrific. I really enjoy crocheting hats. However, I like making various types of things. My favorite items to crochet are baby garments, blankets, cowls, hats, and sweaters. Okay, so pretty much anything and everything. I love to crochet! I also really enjoy knitting but I tend to gravitate towards crochet because of its “instant gratification” factor. So many projects, so little time. 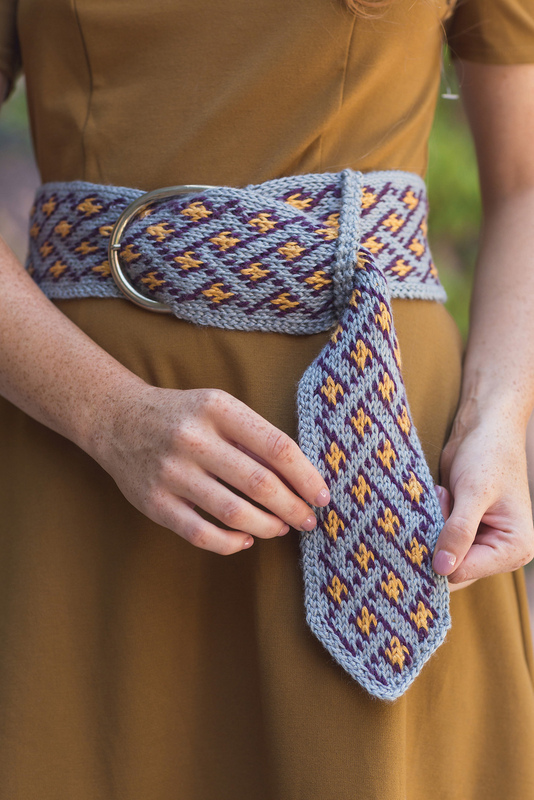 I absolutely adore Berroco yarn and I would be thrilled to make either one of these patterns.